It’s been months since I last made ice cream. Way too long. I’ve been thinking about making “Ice cream flavor of the month” a recurring thing on the blog. How’s that for an idea? A delicious, seasonal ice cream recipe every month, starting with this incredibly refreshing blood orange sherbet. Even if there’s snow on the ground, like there is now, it’s never too cold to eat ice cream (I mean, as long as you eat it inside?). 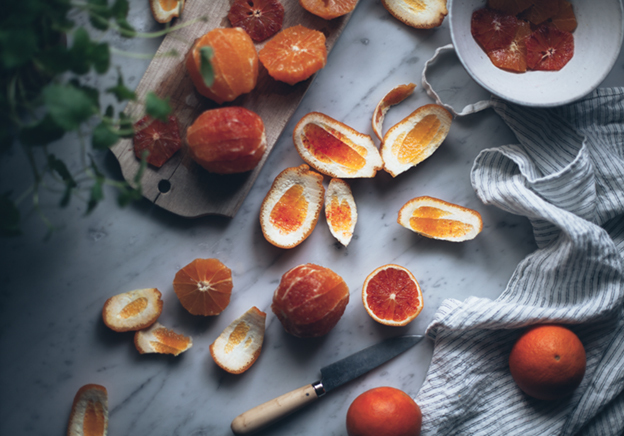 I adore oranges, as you’ve probably noticed in like.. my last 10 posts, but even more so, I adore blood oranges. They’re available for such a short period of time every year and I want to make the most out of it. And how about that beautiful color? Maybe you’re wondering what sherbet is. I know, it does sounds weird, doesn’t it? It’s basically a mix between sorbet and ice cream. Simply the best of two worlds, creamier than sorbet but lighter and fresher than ice cream. And as always, the vodka can totally be omitted. I added almost 3 tbsp. and seriously, the ice cream is soft straight from the freezer! I didn’t add very much sugar because I like it fresh, but you can totally increase the amount if you want it to be sweeter. Make sure to taste the mixture and add sugar to your liking, as instructed in the recipe below. If you don’t have an ice cream maker, pour the mixture into a freezer container and put in the freezer. When partially frozen (after 2-3 of hours), take it out and whip it with an electric mixer to break up the ice crystals. Repeat 3-4 of times during the freezing process. Freeze until firm enough to scoop. It won’t be exactly the same as when you use a machine for churning but it’ll still be delicious! Combine zest, juice, cream, sugar to taste (I used 75 g) and salt in a bowl. Stir until the sugar is completely dissolved. Cover the bowl and place it in the fridge until completely cold, about 2 hours. Strain the mixture using a fine mesh strainer if you want it to be completely smooth. Stir in vodka if using. Pour the mixture into an ice cream maker and churn according to your manufacturer’s instructions. Serve immediately as soft serve ice cream, or transfer ice cream to a freezer container with a tight fitting lid. Smooth the top with a spatula, then loosely cover the surface of the ice cream with wax paper and freeze until firm, about 2-4 hours. I adore a tall, beautiful and delicious layer cake as much as the next person, but lately, I’m such a fan of simple cakes like this one. Initially, I didn’t even make this for the blog, I was just doing some “procrastibaking” (that is, procrastinating by baking) with leftover ingredients from freelance work because I didn’t feel like sitting in front of the computer all day. And of course, I was craving something sweet. But I took some photos of it anyway, you know, just because. And when I took the first bite, I knew I had to post it. And doesn’t it look stunning too? 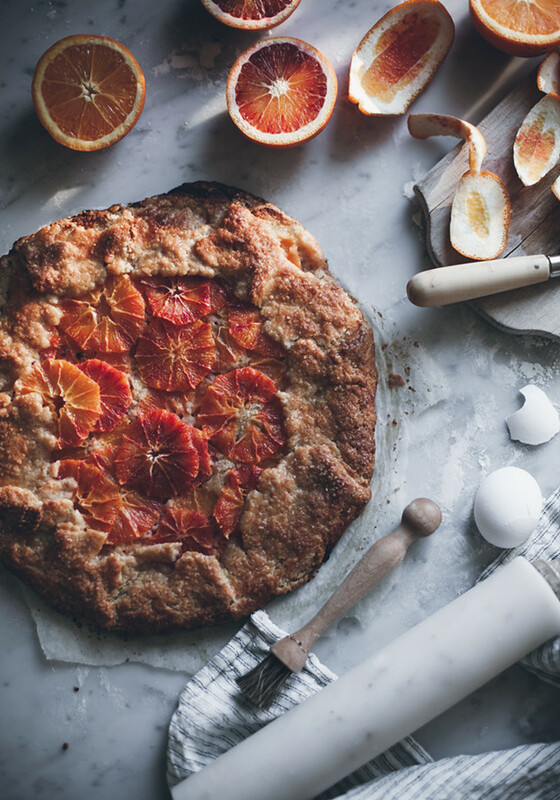 I adore oranges, and especially blood oranges so much. I want to use them with everything! Today I’ll be picking up the keys for my little studio and I couldn’t be more excited! After almost 4 years of working from home, it feels unreal. I can’t really imagine anything else than walking straight from bed to my computer with a cup of coffee (hey, that’s pretty great too!). Hopefully I’ll be more efficient with work, and it’ll be a nice change of pace to actually come home to relax a little bit after work (we’ll see how the relaxing part goes..)! You can make this upside down cake with basically any fruit, apples or pears sprinkled with some cinnamon would be so good! Also, when you leave the pith (the white part) and peel of the orange on, you might notice a slightly bitter taste. If you don’t like this – just cut away the skin and the pith like I’ve done here. I did find that after the cake was baked and had rested a day on the counter, covered in plastic wrap, the bitterness from the oranges had completely disappeared. Generously grease a 23-24 cm (9-9.5-inch) springform pan with butter. Sprinkle pan with 3 tbsp. demerara sugar, make sure to get some on the sides of the pan aswell. Melt butter and stir in the yogurt. Set aside to cool. Wash and slice 1-2 blood oranges thinly. Remove any seeds. Put the slices in a single layer in the bottom of the pan. In a medium bowl, mix flour, baking powder and salt. Gently stir the flour mixture into the egg mixture. Add the butter mixture and zest to the batter and stir until smooth. Bake for 32-36 minutes (but start checking around 25 minutes) until cake is golden brown on top and a cake tester comes out clean. Let cool for 5 minutes before inverting the cake onto a rack or a plate to cool completely. Serve with the cardamom+almond ice cream from my previous post, or vanilla ice cream – or simply eat it as it is! Hi friends! Hope you’ve all had a great start to 2017. My days have mostly been about trying to get back into work, and finding a routine again. So hard after the holidays! If I skip checking my email for a week, it’s a real struggle to get back into it. I need to write to-do lists for every day, by hand, in my calendar and then strike things off my list as I go, to get motivated. Needless to say, my 2017 calendar is still pretty empty. But I hope that will change soon! Do you guys have any goals or resolutions for 2017? Usually I don’t, but if I were to pick something it would be to have more fun, laugh more, relax more and try not to worry about every. single. thing. Take better care of myself too. And to do things that make me happy. Now, this cake! 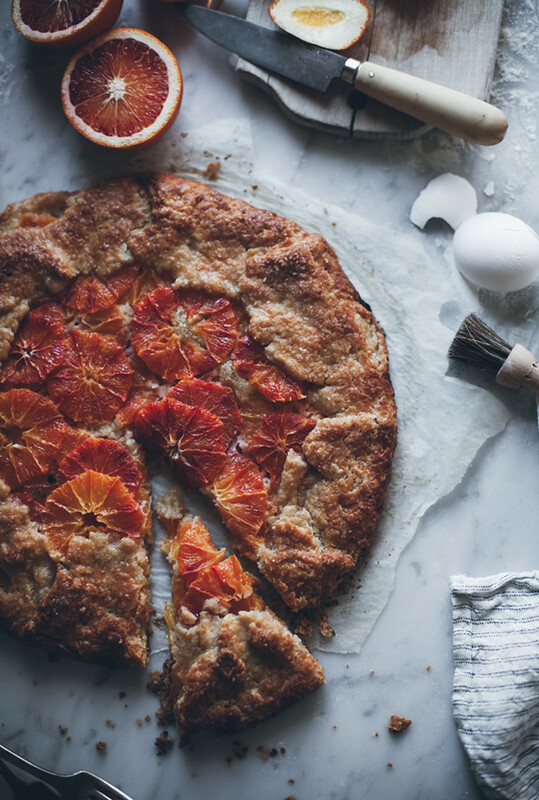 Citrus season is one of my favorite seasons and especially blood oranges have a special place in my heart (and my belly, hah!). Also, they make the prettiest pink icing. First, I made this cake in a bundt pan and with poppy seeds in place of black sesame seeds. Equally delicious! It would taste amazing with lemon, too! You can omit the sesame seeds if you want to, or try using poppy seeds instead! I’ve tried poppy seeds and it’s equally delicious. If using poppy seeds, there is no need to toast them. You can also bake this cake in a bundt pan, just make sure it’s big enough (approx. 6 1/2 cups). Lightly toast the sesame seeds in a skillet. Beat butter and sugar until light and creamy, about 2 minutes. Add the eggs, one at a time, beating after each addition. Add the flour mixture, blood orange juice and milk in additions to the butter mixture and stir until batter is smooth. Add the orange zest and 2 1/2 tbsp of the toasted sesame seeds to the batter, leaving 1/2 tbsp seeds for topping. Pour the batter into the prepared baking pan, smoothing the top with a spatula. Bake in the lower part of the oven for 70-85 minutes (start checking around 60 minutes, cover the top with foil if cake is getting too much color) or until a cake tester comes out clean. Let the cake cool in the pan for 15 minutes, then invert onto a cooling rack to cool completely. Stir together powdered sugar and blood orange juice in a small bowl. Drizzle over cake and top with 1/2 tbsp toasted black sesame seeds. very superficial that way. I only managed to grab a couple though and the rest were orange inside. Oh well. 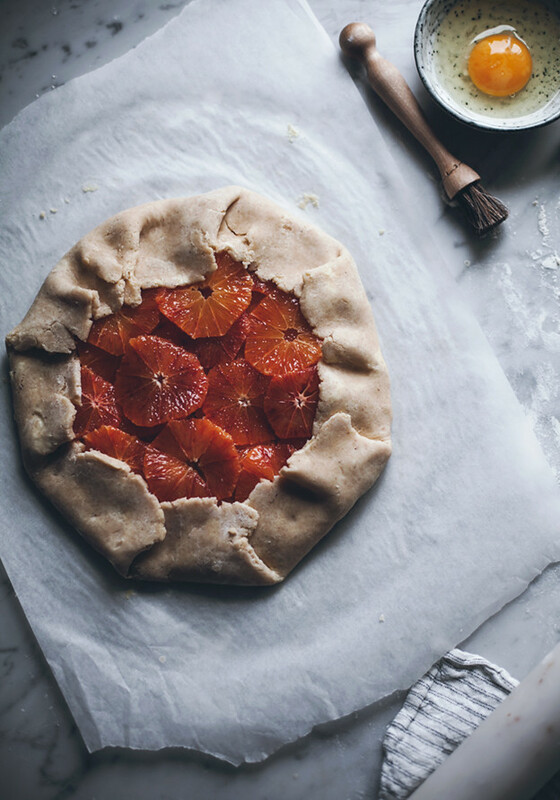 I must say I had my doubts about baking blood oranges like this in a galette. But I can happily report that they turned out really, really delicious. I thought they would become dry and dull, but quite the opposite. Especially together with my favorite flaky almond crust and the creamy, sweet frangipane filling underneath. It most certainly doesn’t get better than that. Ok, maybe with a scoop of vanilla ice cream. I was never really a huge fan of pies but the past few months have really turned me around and made me into the biggest pie fan! Seriously, there is nothing more delicous or satisfying to bake than a pie. Can you believe I just said that? I think you will find out why very soon..
1. Mix together the dry ingredients in a large bowl. Add the diced butter and, using your fingers or a pastry cutter, cut in the butter until dough is crumbly but there are still visible pieces of butter. 2. Drizzle with water, 1 tbsp at a time, and mix gently with a fork until dough just comes together, do not knead the dough! 3. Pat the dough onto a piece of plastic wrap, wrap the plastic around the dough and place in the refrigerator for at least an hour. 1. Beat butter and sugar until creamy, about 30 seconds. Add the almond flour and egg and beat until smooth. Set aside. 2. 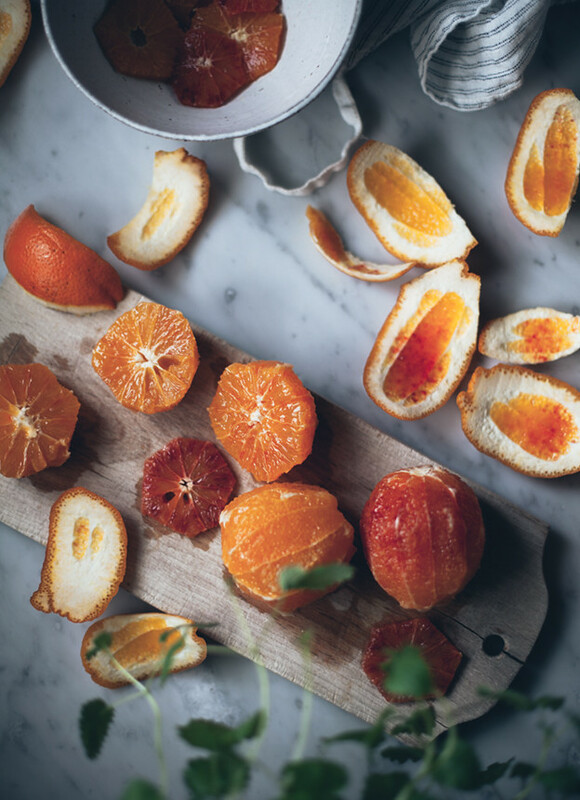 Use a sharp knife to cut down the sides of the oranges, removing all of the skin and white pith. Slice the oranges thinly. Remove all seeds. 1. 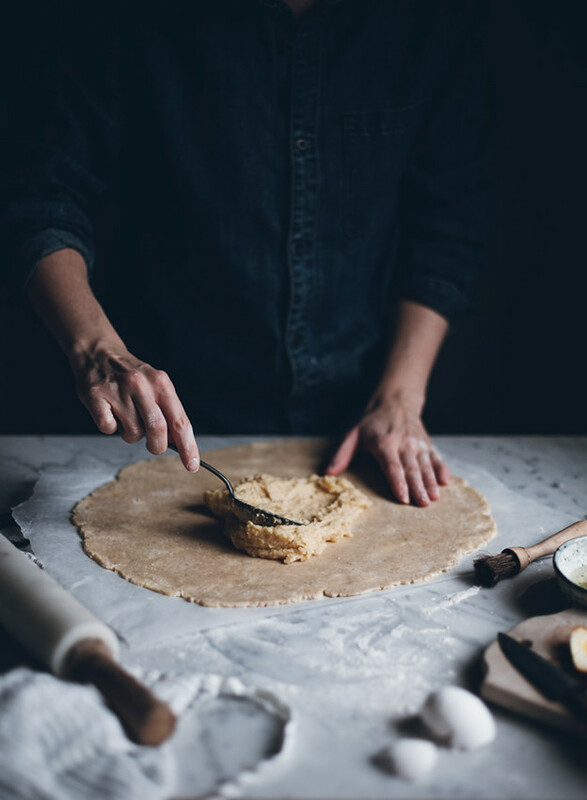 Roll out the dough to a large circle on a lightly floured surface, about 1/8 – 1/4 inch (3-5 mm) thick. Make sure to roll and turn the dough so it doesn’t stick to the surface. 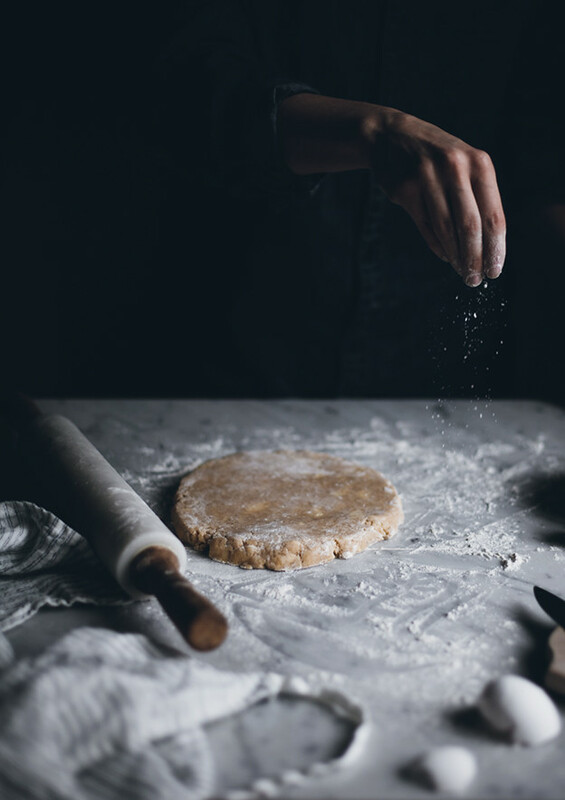 Using the rolling pin, transfer the dough to a piece of baking paper. 2. Spread the frangipane filling over the rolled out dough, leaving a border around the edges (see photos). 3. 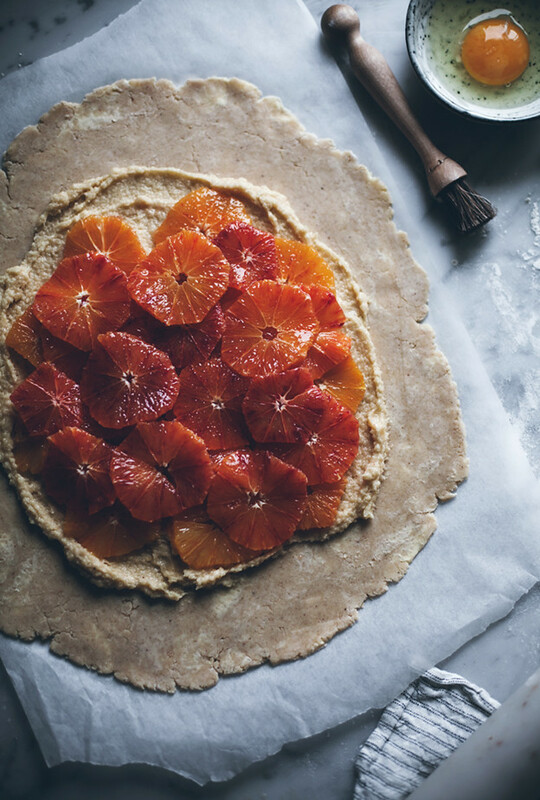 Put the orange slices in two layers on top of the frangipane. Fold the edges over the filling. 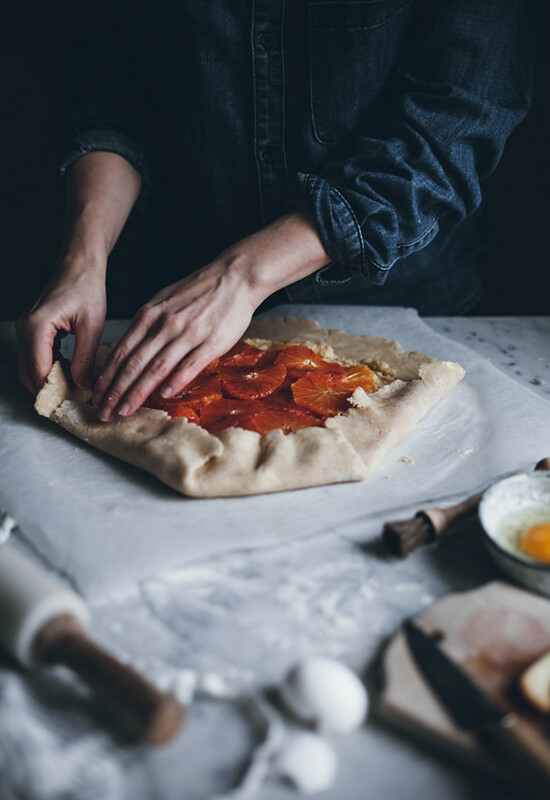 Slide a thin cutting board or the removable bottom of a tart pan underneath the baking paper and galette and put it it in the freezer for 20 minutes. 1. Preheat oven to 200°C (390°F). 2. Mix the egg, a pinch of salt and milk in a small bowl. 3. 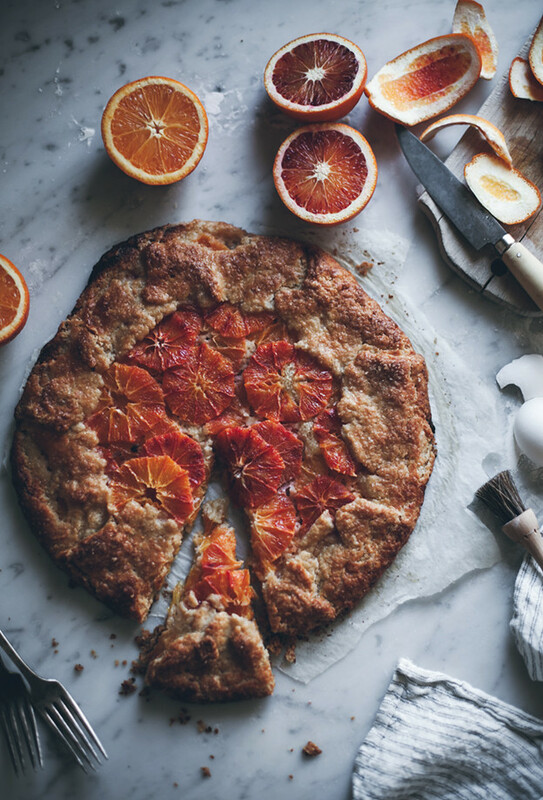 Remove the galette from the freezer and put it on a baking sheet. Brush the edges with egg wash and sprinkle edges and fruit with turbinado sugar. Bake until the edges are golden brown and filling bubbly, about 40 minutes.